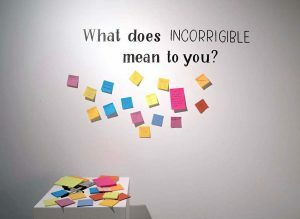 Incorrigibles was invited to participate in “Dislocations: artists respond to Mass Incarceration” exhibition and the ‘Collard Greens’ dinner and dialogue at the Collar Works Gallery in Troy, New York. We live in a country that practices mass incarceration, yet the detention spaces and their communities often are invisible. Our ideas and stories about prisons, jails and correctional facilities frequently belong to a remote world of over-sensationalized flash news and fictions. 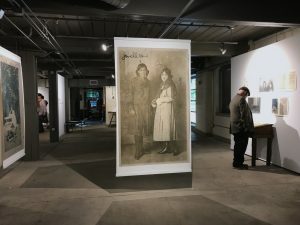 This multimedia exhibition and series of events at Collar Works explores carceral systems through creative initiatives and more direct conversations. It showcases artists’ work that were created in collaboration with and by the incarcerated. We wish to generate conversations about the current criminal justice system and its impact on our community through a collection of ways out, ways in, and in-betweens.